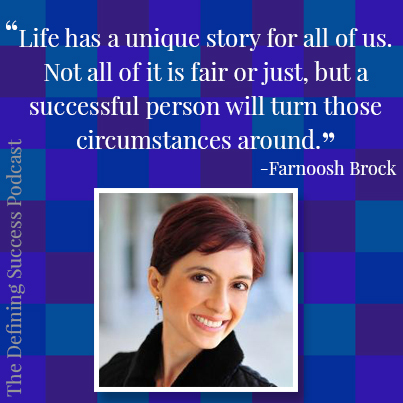 Farnoosh Brock is the author of several books. She has two put out by a traditional publisher. They are The Healthy Juicer’s Bible and The Healthy Smoothie Bible. Today she is going to talk to us about a variety of different topics, mostly about getting a book published, how that whole process works and her tips and ideas on how to market books including using a media kit. Farnoosh spends her time writing and running the Prolific Living blog, as well as Prolific Juicing, Fast Track Promotion for career warriors and Smart Exit Blueprint for entrepreneur-wanna-be spirits. She writes books, talks about empowering your life with your own choices and re-inventing yourself with positivity, enthusiasm and the right guidance. I had a really good time today talking with Farnoosh. You can really that she’s an enthusiastic person, excited about life, and really knows the direction and purpose, where she wants to take it. She seems very happy to me as well. That’s what I want for all the listeners. I want you all to be happy and excited about the work you’re doing just like I do, just like like Farnoosh does. One of the things that Farnoosh brought up that I want to focus on is the media kit that she talked about. She created a media kit for her book and sending them out. The reason why I want to talk about it is because, you can apply the concept of a media kit, you don’t have to just do it for books, you can literally do a media kit for anything. Farnoosh, she reached out to me, she had talked to Jared Easley who does the Starve the Doubts podcast, he introduced her to me. She sent me, basically like a media kit email sharing here’s who I am, here’s what I’m about, Jared says you’d be a great person to talk to and a great show to be on. It really introduced her and myself and it made me feel comfortable with her, especially with the introduction through Jared, to have her on the podcast. Creating those media kits really helps to open the door to new opportunities. Instead of sending out an email that seems like a mass email or an impersonal email, by sending out a digital media kit you can really start to introduce yourself to different people or different influencers that you want to try to get a hold of. One of my friends wanted to become a landscape architect. Apparently, typically, to do that you sign on with a firm that does landscape architecture. At the time he graduated college with a degree and could not find a job. I understand that there aren’t really jobs out there, but you need to be proactive about it. My suggestion to him was to create some sort of media kit about himself that would demonstrate his expertise. For him I was thinking more of a physical copy, maybe not so much a digital one. I’m not sure how landscape architecture works, but I’m sure they do some designs and do work projects, maybe he could do a work project and show them a design of his own and hand that off to them. Instead of giving a resume show the actual work that you are willing to do. That’s a form of a media kit that can really open up doors. You can do it for your career. If you are looking for potential clients, you can use a kit to reach out and introduce yourself to businesses as well. There’s just so many different functions and uses that you can use a media kit for that I don’t think a lot of people think of. 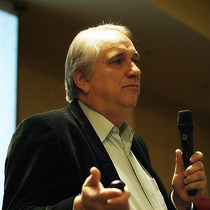 One of the books I read was by John Jantsch, The Referral Engine. In the book he says there’s a lot of really cool things you could do to make yourself stand out in front of people. One of the things he did was send a rubik’s cube to a bunch of place with a little note attached to it explaining who he was and his business and there was a reason why he used a rubik’s cube, I don’t remember the example, but it was a very inexpensive way, it was something memorable, that people can look at and say oh yeah I remember that guy he sent me the rubik’s cube. It worked out really well for him and his business. There’s so many other opportunities like that out there if you think about that. I think Farnoosh did a great job with her media kit and sending them out so I wanted to share that with you today. Thanks for listening. Check us out on Facebook, say hi. I love talking with our listeners, it makes me happy. She encourages you all to connect with her. Let her know that you found her through Zeb at The Defining Success Podcast. Farnoosh used to be in engineering. She did a lot of highly technical, highly stressful work. She worked for a start-up then a big fortune 100 technology company, she was doing technical support for huge companies fixing their broken networks. She then moved on to technical writing, project management, process improvement, sales operations, executive communications. She got a lot of wonderful experience working in many different areas in a corporate job. Today she does something entirely different. She attended a conference, Blog World. She met amazing people who were doing meaningful work with their lives. She felt inspired. Meanwhile at her job, she was being asked to do a project that she had a moral conflict with. Those two forces made Farnoosh reconsider her path, really look at the future, really think about what she was doing, really take some action. Within 6 months she resigned and started her own company. She’s hired her husband and they have a profitable business. They figured it out. The Healthy Juicer’s Bible, Farnoosh’s first traditionally published book, came about because of her self-published book on The Comprehensive Green Juicing Guide. It’s about taking people step-by-step through why and how they can do their own juicing, and several recipes. It was a quick process from putting the content together to being put on shelves. It did well. Most aspiring authors expect the publisher to do all the publication, marketing, work and they just do the writing. Farnoosh saw her relationship with the publisher as more of a partnership. She collaborated with them and they worked heavily to market the book. The repeated the process for her second book, The Healthy Smoothie Bible. Build a media kit. It makes it easy for your reviewers to give shout outs for your book. In Farnoosh’s media kit she included phrases and text they could share on Twitter, Pinterest, Facebook, as well as email templates that they can send to their lists, and pictures that they use where ever they like. Pick some early reviewers. Farnoosh tapped into her network and found some new people that would be interested in the book. They got a copy of the book in exchange for an honest review, a shout-out to their audience, or maybe even just for them to get use out of it to start a relationship. A media kit shows you as a professional author who has a good sense of your book and how to communicate your book. It shares a description of the book. The launch date. Include blurbs and email templates, really encourage people to share about the book. 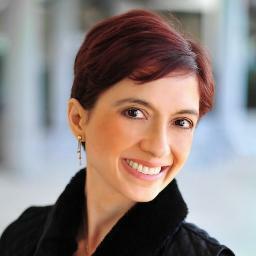 Tools that Farnoosh uses includes Google Docs (you can share a document and set it so that to just view, they can still copy and paste text from it without changing it), Click to Tweet (a website that creates a unique link, people don’t even have to copy and paste), pictures (people love to share pictures) for the viewers to easily share. She even created a book trailer, a video about the book people could share. A media kit is a collection of all of this plus contact information. This entry was posted in Episode 089: Use a Media Kit to Stand Out | Farnoosh Brock President of Prolific Living and tagged Author, Become an Author, Blogging, Book Publishing, Define Succes, Defining Success Podcast, Farnoosh Brock, Healthy Juicer's Bible, Healthy Smoothie Bible, Leave the Corporate World, Media Kit, Passionate about Blogging, Prolific Living, Self Publishing, Stand Out, Success, Welborn, Zeb, Zeb Welborn on July 3, 2014 by Admin. Chris Brogan has been in the online world for sometime now and what he’s learned most is that in order to be successful online that you must be of service to others. If you’re willing to go the extra miles to help others, you will be successful in the online world. 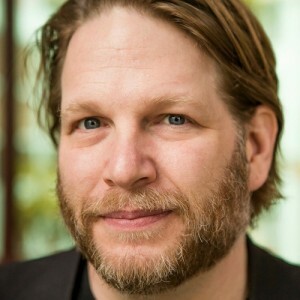 Chris Brogan is CEO and President of Human Business Works, an education publishing and media company dedicated to helping professionals work better, do the work they want and to be brave. 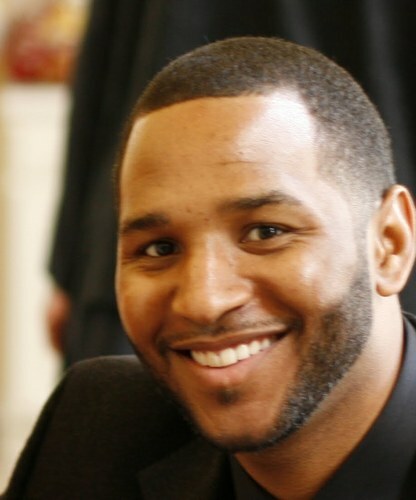 He is the NY Times best-selling co-author of the Impact Equation and a sought-after professional keynote speaker. He also plays in the band, D3one3 with Jacqueline Carly. 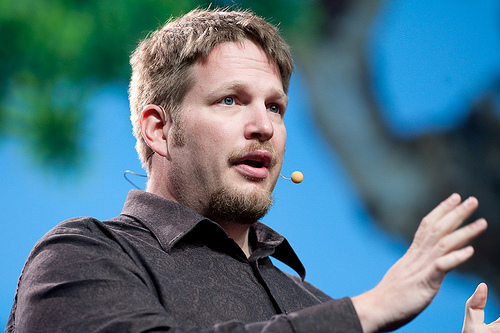 Chris Brogan started his online endeavors before 2005, blogging and using social networks. 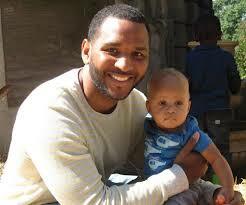 In 2005, he co-founded Blog Camp, an event to help understand media and help it work for you, with Chris Penn. 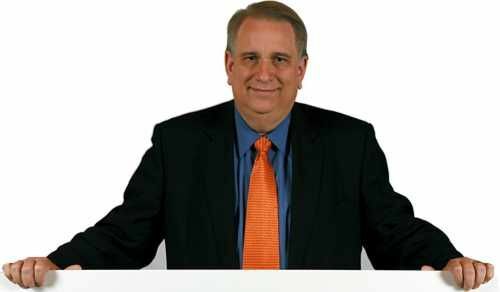 He then took a job with Jeff Pulver running video on the net and then he went on to work with the Pulse Network and started New Marketing Labs and sold that to them and is now working in Human Business Works. Now, Chris is doing courses for professionals. Chris started his blog because he wanted to start fiction and it morphed into writing about himself and it was a long time before it became useful for anyone. 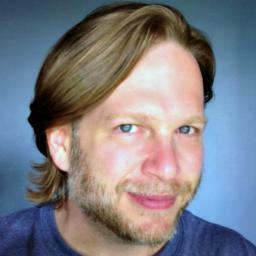 ChrisBrogan.com is still alive and helping others and it took him 8 years before he got his first 100 readers. Now, Chris has 200,000 unique visitors per month. The mobile first mind-set is taking over the online world. For example, Instagram is a mobile experience, not a desktop experience. The shift has now moved towards mobile and it looks like it headed that way. Chris thinks that the future holds that more and more people are going to get there information from smaller and smaller organizations. As experts start to sprout up with different areas of expertise, users will begin looking to those people as the experts and everything will be open to more and more people for the benefit of the individual. 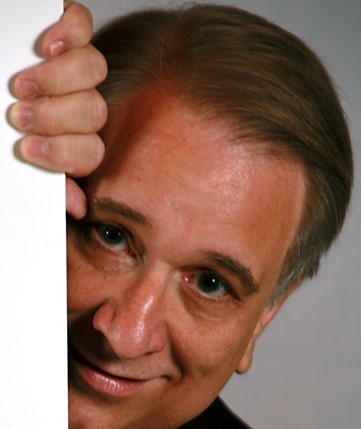 Rob Hatch, does a course called Work Like You’re on Vacation, through Human Business Works. Chris works every day like he’s on vacation and finishes his average work day at noon. Then he’s free to do the things he wants to do, he can write blogs, figure out ways to come up with more money, learns from others or goes to the beach. Chris Brogan does another podcast called The Human Business Way, which he absolutely loves doing. He’s writing several books, one on Minecraft, one tentatively titled The Freaks Ruled the Earth and he’s also revamping some courses that he’s offering to people who want to learn how to use the Internet for their benefit. In order to work like you’re on vacation, you have to put in the work to make it happen. So many people think they deserve to live the good life, but people like Chris are able to live that way because they’ve put in the time, effort and energy upfront in order to reap the benefits later. There is a triangle to making money, what do I know how to do really well, who do I know that needs a service and do I have access to those people. The beauty is that there is always somebody who is into something and you can reach out to those communities and make it happen. Chris works as hard as he does because he’s trying to show people that they are great just the way they are and he’s trying to figure out as many ways as possible to help those people achieve success in the what they enjoy and are good at. In 2010, Chris Brogan lost $400,000 of his own money in some poor investments he got involved in. He learned a lot of from that experience and has become stronger for it, but his advice to others would be to stick to something you’re good at and work hard at that and not try to get caught up in too many different things. Chris always hears from people who share with him that they’ve been able to take some idea he’s had and expand upon it to help themselves achieve success. 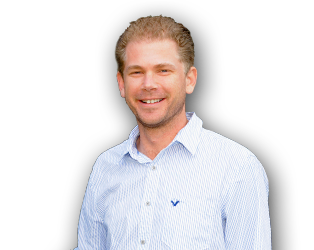 Chris Lema is one example of a person who showed his blogging success stats since taking a course with Chris Brogan which makes him proud because it’s something you can’t fake and the results speak for themselves. In Chris Brogan’s blogging master class they talk about writing in a conversational tone, how to get better blog-writing habits, how to build good cornerstone content and ways to make money. All of these things lock together during the experience and people consistently say that they get way more value than what it cost for them to get into the Blogging Master Class. In another class Chris runs called Brave New Year, he talks about setting better goals to help you change your life to the life you want and away from the life you don’t. He also wrote an ebook called It’s Not About the Tights on Amazon. It helps people do the things they want to do. Be of service to others and you will be successful. How successful have you been feeling? This entry was posted in Episode 033: Be of Service to Others | Chris Brogan from Human Business Works and tagged Blog Camp, Bloggin, Blogging, Blogging Master Class, Brave New Year, Chris Brogan, Chris Penn, ChrisBrogan.com, D3one3, Defining Success Podcast, Human Business Works, Impact Equation, Internet, It's Not About the Tights, Jacqueline Carly, Jeff Pulver, New Marketing Labs, NY Times Best-Selling Author, Online, Rob Hatch, Service, Social Media, Success, The Freaks Ruled the Earth, Work Like You're on Vacation, Zeb Welborn on July 8, 2013 by Zeb Welborn. Reality TV blogger Ashley Majeski tells us about how she got started in blogging and the opportunities it’s created. “It was random”, she says after watching an episode of ‘The Bachelor’ and her friends telling her she should write down all the quips she makes during the show. So she did. After googling her way through the startup process, Ashley began to figure out how to blog and how to have a business mind while doing it. Since she started writing at age 13, through to college where she covered sports and school activities, it seems Ashley has always had a pen to paper, only now it’s a keyboard but her drive has never dulled. She got an internship with the magazine Us Weekly and it was there she fine-tuned her writing toward celebrity journalism. Modeling her site after celebrity blogger Perez Hilton, Ashley narrowed her focus down even further to reality television. So, you have your blog…now what? How do you get readers? Ashley says that while trying to figure out this very question, she discovered a niche of readers with the show ‘Teen Mom’. Every time she would write about this show, her hits would dramatically increase. Eventually, even some of the stars from the shows she was covering would read and generate even more traffic. 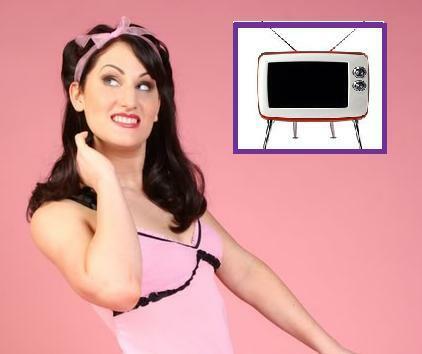 Ashley quickly became the subject matter expert in reality TV, answering questions and fielding calls from major news outlets looking to her and her sight for information on the shows. For Ashley, her blog has opened many doors, a far cry from the days of “googling her way through it”. She cautions however that this business is “ridiculously hard to get into” and once you’re in, you walk a very fine line between writing about people to poking fun at them. She says she never intends to be negative, rather she’s had the most success with keeping things positive. Now people are reading your blog, can you make any money with it? Ashley admits she was spending all of her time working on the blog and decided to try her hand at making some money with it. She began to put ads on her blog and with a few key interviews with major news organizations, her readership skyrocketed and she started to see some positive cash flow. Ashley had developed a strong business mind when it came to managing her blog. Ashley recommends using a self-hosted blog, meaning make sure you set up your own website with your own domain name because eventually you will be able to post your own ads on your blog page. One of her favorite article’s was when she was working with the New York Post for a character on Teen Mom and it was picked up by outlets all over the country and it started the storm and because of the story it forced MTV to comment on the future of the show. Ashley thought it was interesting to show how one story can have such a strong impact on our world. She enjoys having reality TV stars contact her to post articles on their lives and how these people feel connected to these reality stars. And she’s able to help people to connect with others who they’ve found value in. Ashley says in order to run a good blog, you have to be very consistent because people lose interest fast and so many other people are doing blog-writing now-a-days. “Always be prepared to work.” Always be willing to ask for help and always give help when you’re asked. When becoming a blog writer, it’s important to make a distinction for you blog. Whether your blog is a for-fun blog or a for-profit blog because the strategy is entirely different. A for-fun blog is a blog where you’re writing just for your own pleasure and a for-profit blog is a blog where your build readership and create things to sell. Sometimes people post ads and in some cases they are trying to sell a product. One of the biggest mistakes Ashley has made is being to brutal to some of the reality TV stars she’s written blogs about and she’s learned from her mistakes by being more light-hearted in her writing and does not resort to attacking a person’s character. Her recent goals are to expand her writing to include more reality television. All of these people say they are looking for love, but really they are looking for fame. Ashley says the best reality TV show to watch now is the Bachelor. Ashley believes that success is doing something you love to do every single day and that other people care about it. She thought that if she could have picked any career this is what she would want to be able to do. Success means you’re happy and Ashley is definitely happy. If you could write a blog on any topic, what topic would you choose? This entry was posted in Episode 005 - Having a Business Mind | Ashley Majeski of The Ashley's Reality Roundup and tagged Ashley Majeski, Blog, Blogging, Celebrity Blogger, For Fun Blog, For Profit Blog, Googling, New York Post, Perez Hilton, Reality Television, Reality TV, Reality TV Blogger, Teen Mom, The Ashley's Reality Roundup, The Bachelor, The Defining Success Podcast on March 18, 2013 by Admin.